You couldn’t pick a more charming spot for a weekend getaway. Turn left out of the Moon Shadow cottage and step right onto Porthmeor Beach, a beautiful stretch of sand leading you up to the foot of the Tate St Ives in under ten minutes. Even if you aren’t an art enthusiast I do recommend a visit. The views from the café at the top are spectacular and the cake is too. 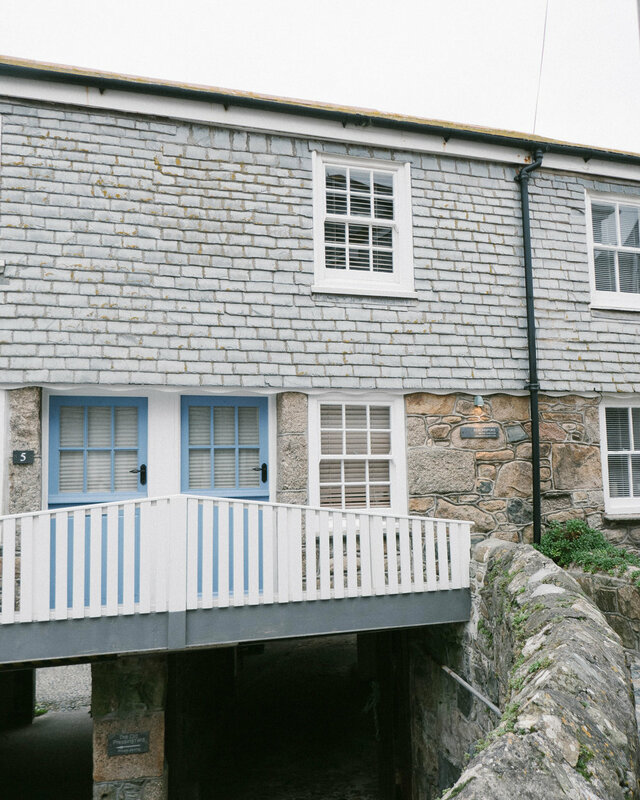 The gallery itself is home to a wide collection of works made by both locals and world celebrated artists who all came to Cornwall seeking inspiration. The recently renovated Porthmeor beach café is also worth popping into. Serving breakfast through to dinner with a seasonal and locally sourced menu. Enjoy a classic Cornish cream tea whilst watching the waves or even a glass of champagne as the sun drops. Turn right out the cottage and wander through the quaint cobbled streets of St Ives. The shops are impressive for a small seaside town with brands such as OSKA, Fatface and Crew amongst them. The streets are punctuated perfectly with fudge shops, teashops and pasty bakeries should you feel peckish along the way. A favourite is The Allotment Deli, home to local cheese, breads and chutneys as well as a well stocked salad bar available to takeaway. It is closed in January in which case I suggest heading to Norway Stores (two minutes from the cottage). Here you will find everything needed for your weekend kitchen (from chocolate digestives to local tomatoes and eggs). 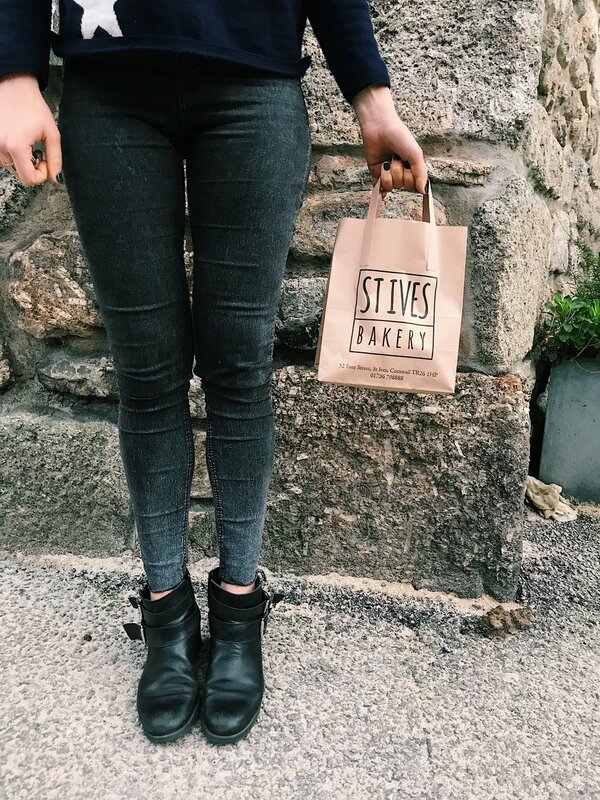 You will find many bakeries in St Ives but the best is St Ives Bakery. My favourite of their loaves is their Emmer loaf (an ancient grain, low in gluten and delicious toasted). There is also a COOP and a Boots pharmacy for any further essentials. The harbour front (about a three minute walk) has ample on offer too. Expect fresh fish and chips and at least four different ice cream parlours to choose from. But the best is Moomaid of Zennor –family run with every flavour churned with cream from their farm in Zennor. The bitter chocolate sorbet is especially good. For walkers Moon Shadow cottage is a dream location. St Ives is home to some of Britain’s most breathtaking walks. A rather stunning walk is the route from St Ives to Carn Naun which takes you along the coastline cliffs before folding back through the fields into the town. 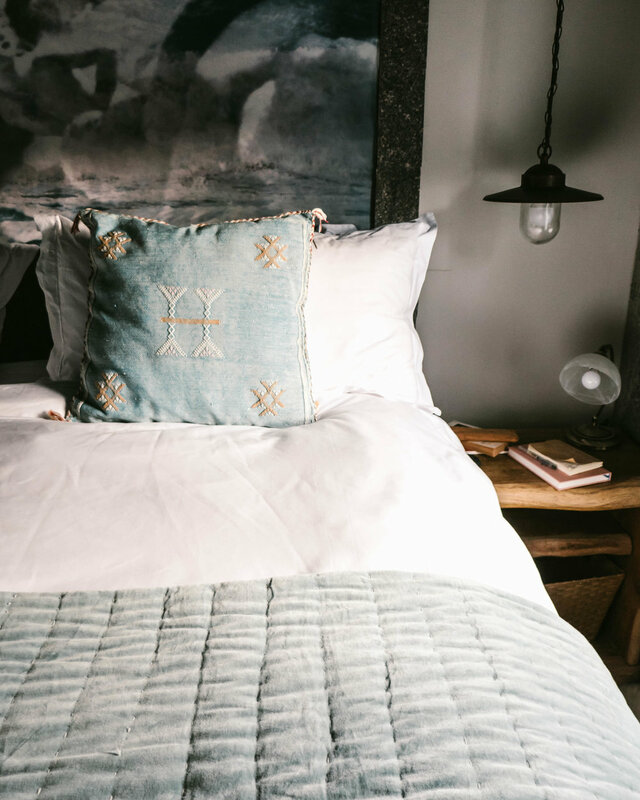 It may be an old fishermans cottage but the interiors of Moon Shadow are of the same standard of any luxury hotel. Underfloor heating keeps the cottage huggishly warm. The walls and floor are an understatedly chic grey with furnishings inspired by industrial and nautical design. Windows either side mean the cottage is flooded with natural light and the installed lighting is tip top too. My bedside lamp required just a tap from my finger to ignite, another tap to dim it and another to turn it out. It can seem a small thing to obsess over but there is nothing more irritating than having to turn the room upside down to get to the light switch in the middle of the night. The bedroom and shower room are on the upper deck. 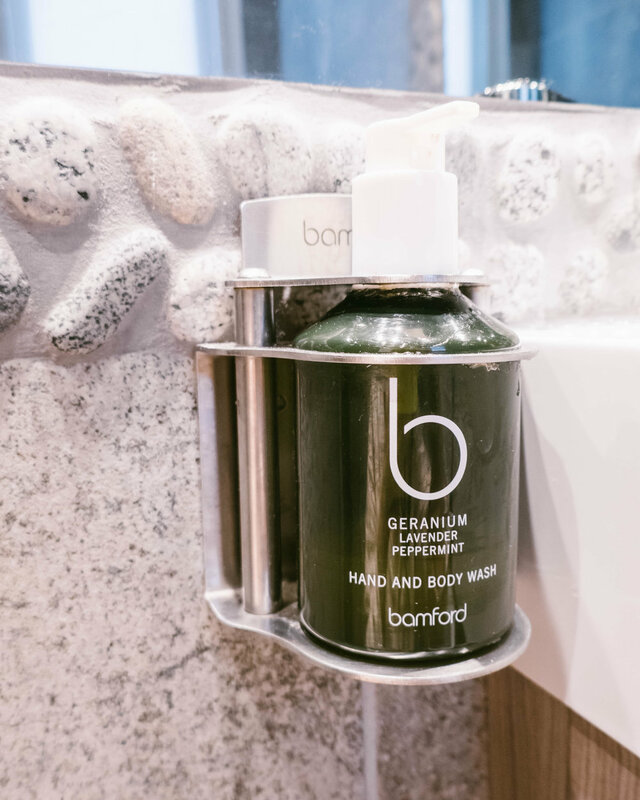 Heated towel rails ensure that your dressing gowns and towels are always toasty and you will find Bamford products in the shower and cobble stone floored (also underfloor heated) bathroom. 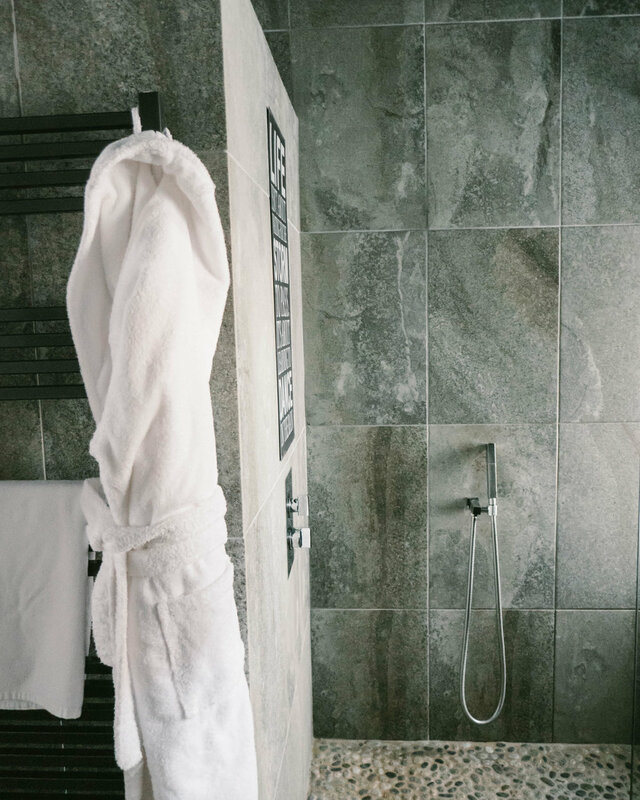 The super king bed is complete with plush white linen guaranteeing a perfect night’s sleep. There is good storage too with large wicker baskets under the bed and a built in wardrobe for hanging clothes. 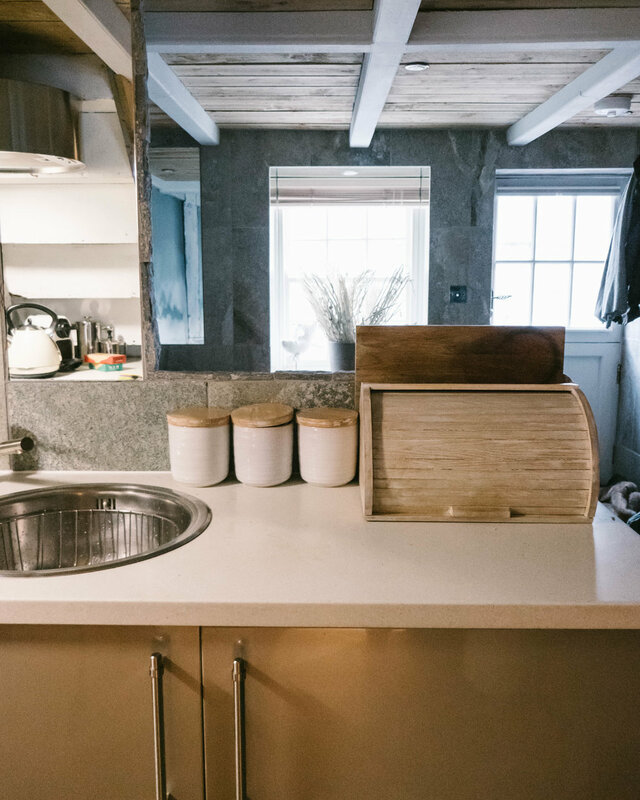 Downstairs, the open plan kitchen living space is complete with everything you need, including a coffee machine and compostable coffee capsules, which as well as being far kinder to the environment made very good coffee indeed. If like me you enjoy cooking, Moon Shadow cottage feels like a home away from home. 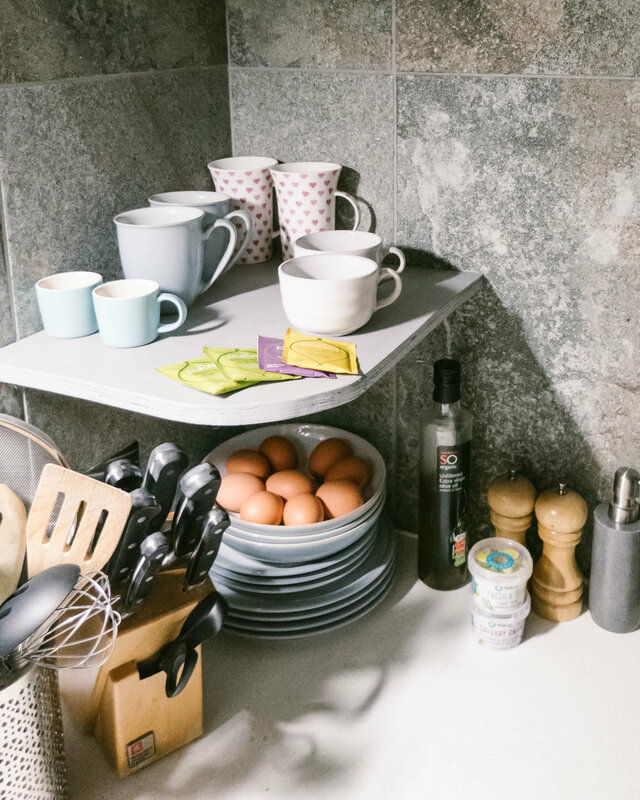 Simple cooking is best in the space but the oven works very well and the drawers contain all the pots, pans, whisks, graters and spoons you’ll need. We cooked a delicious thai broccoli soup one night and an aubergine tomato curry the other. The flat screen television (cleverly built into the wall) is hooked up to both Amazon and Netflix so you can enjoy all the latest shows whilst sinking into the sofa with a cup of tea. St Ives is home to some excellent restaurants and pubs. My favourite is The Gurnards Head. The menu is sophisticated but unfussy and celebrates local fish and veg. Service is charming and the wine and ale list good too. 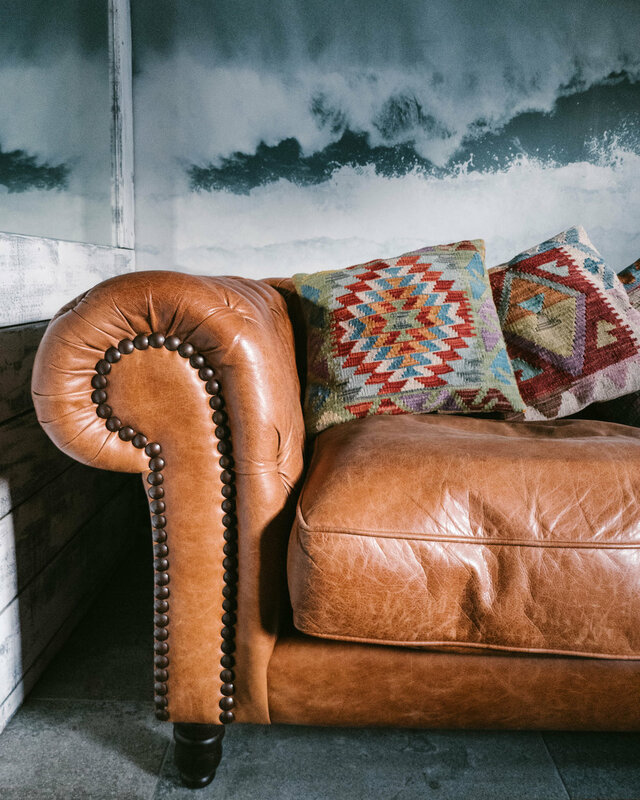 It’s sister restaurant The Old Coastguard in Mousehole is equally lovely and a very good one for Sunday lunch with a Prix Fixe menu of £22 for two courses £27 for three. If you enjoy your wine head to The Old Custom House where they have a selection of natural wines as well as cheese and charcuterie. For something a little less ‘of the coastal path’ try the Thai tapas at Talay Thai Kitchen. They don’t take bookings but you can put your number down whilst you wait for a table and head for a pint at the Sloop Inn. For bread and baked goods St Ives Bakery has my vote (their Emmer loaf especially) and for coffee head to Mount Zion and Yallah both on the harbour. One of the loveliest things about staying at Moon Shadow cottage is the ability to cook for oneself. I recommend a breakfast of Norway stores scrambled eggs on toasted emmer loaf from St Ives Bakery. Find out more about Moon Shadow Cottage here.